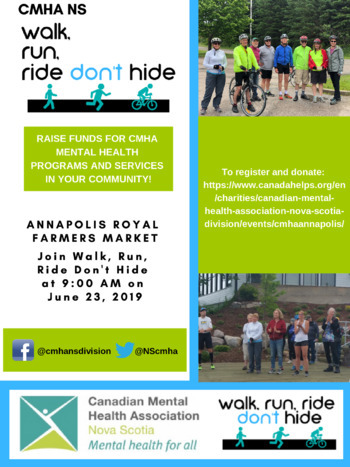 On Sunday, June 23 come on out and walk 3km, walk 5km, run 10km or cycle 25km. All route choices are along the scenic Annapolis River. Help to end the stigma for those who are seeking positive mental health, all while getting active, having fun and taking in the beautiful views. There is no registration fee and pre-registration is not required. If you choose to show your support through a donation to CMHA you can do so either online or at the event. Tax receipts will be issued. 100% of the monies raised will stay directly in Annapolis and Digby Counties! All funds will support mental health programming and services. Everyone deserves to feel well, whatever their mental health experience. Support mental health for all and help to build resilient, stigma-free communities. 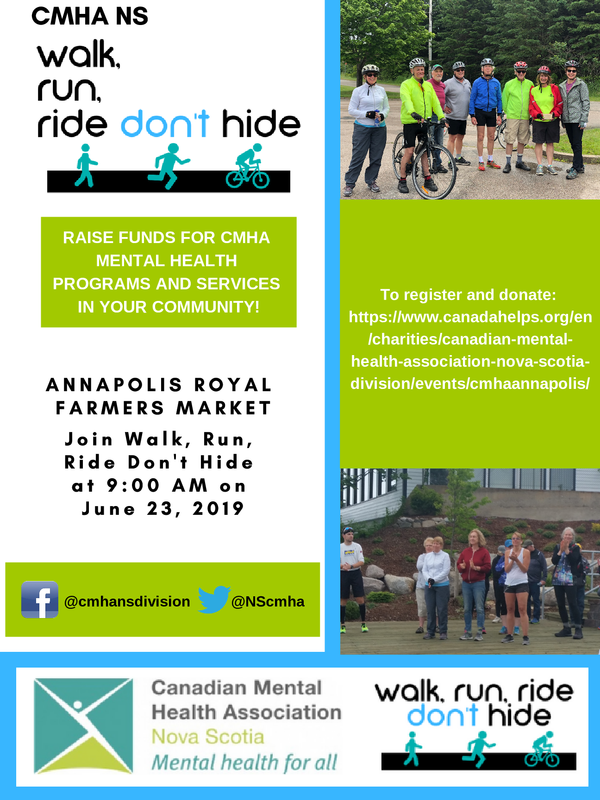 Join us as we join with communities across Canada on June 23rd to move for mental health!